This is a beautiful table center piece, or tabel topper. 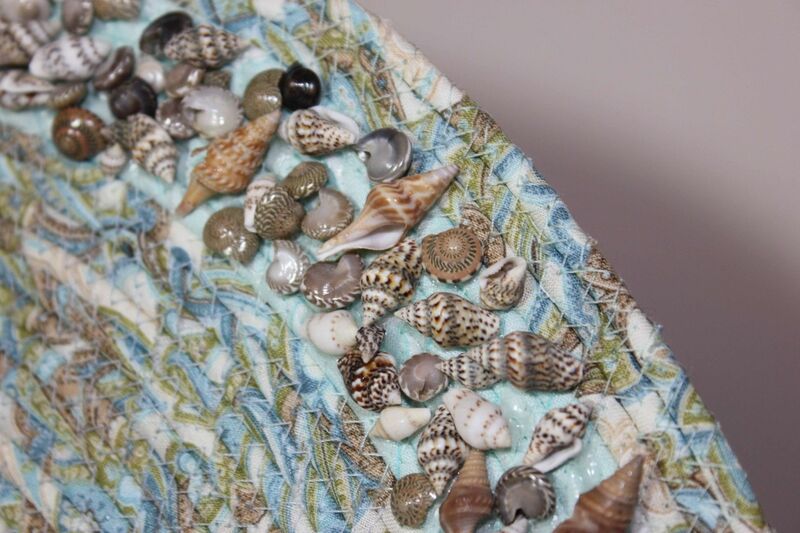 This is piece is designed by handwrapping clothesline in strips of fabric and then machine sewn with a zig-zag stitch. 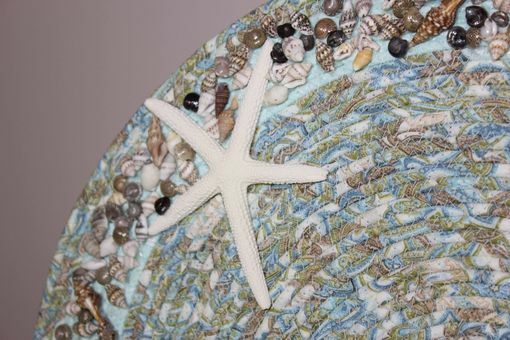 The outer edges are embellished with various sizes of sea shells, with one large star fish accent. COLORS: light (minty) greens, beiges, whites. SIZE: Approx 14 inches in diamter. 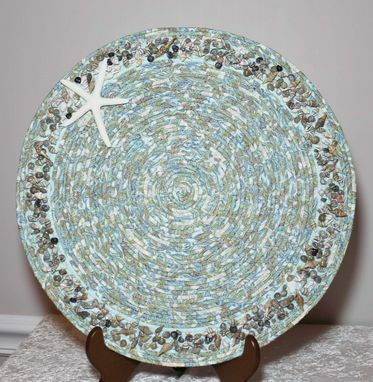 CUSTOM ORDERS: Several customers have placed orders for specialized table toppers to match a specific decor. I can certainly design something for you if you're looking for specific colors. ADD ONS: Embellishment options are numerous. 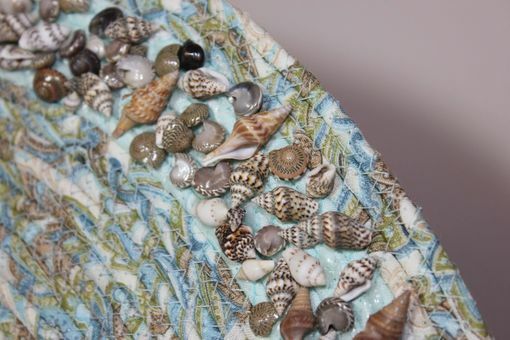 If your looking for other mediums to be added for additional decoration such as ribbon, lace, beading, stones, etc..... I can work with you to design something that fits your decor.